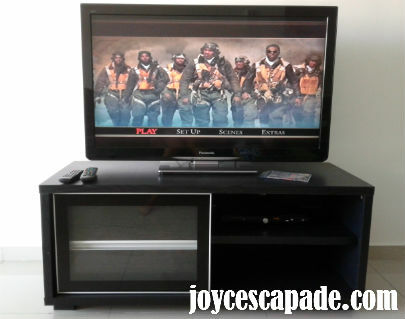 Today, we watch our first DVD - Red Tails on our brand new 42" Panasonic LCD TV. The TV cabinet is brand new and we have gotten ourselves a new DVD player too. On top of that, we have other new household stuff too, i.e., bedroom set, dining table, shoe cabinet, and kitchen cabinets. The fridge arrived last month.